WILLEMSTAD - Purchasing products tax-free is the first step to make Punda and Otrobanda more attractive for the shopping cruise tourist, but Curaçao cannot yet compete with the cruise ships which also offer tax-free products to their passengers and crews. This is according to the Director of the Downtown Management Organization (DMO) Carine Ghazzi. 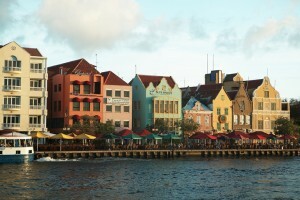 The government recently created the possibility for the tax-free purchase of articles in Curacao stores. It is only a first step, says DMO. In order to become truly attractive, visitors to the island have to be able to shop duty-free, which means that the articles should also be exempt from import duties as is the case on St Maarten. Those who think that cruise tourists can now make their purchases tax-free are wrong. Several retailers have submitted the application for it, but the requests have not yet gone through the proper process.